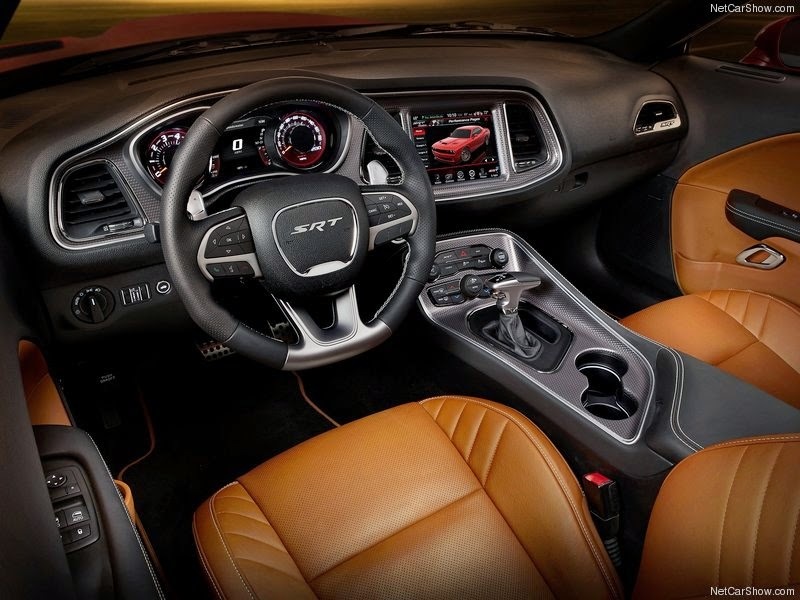 Dodge has once again shown how real male car need look. 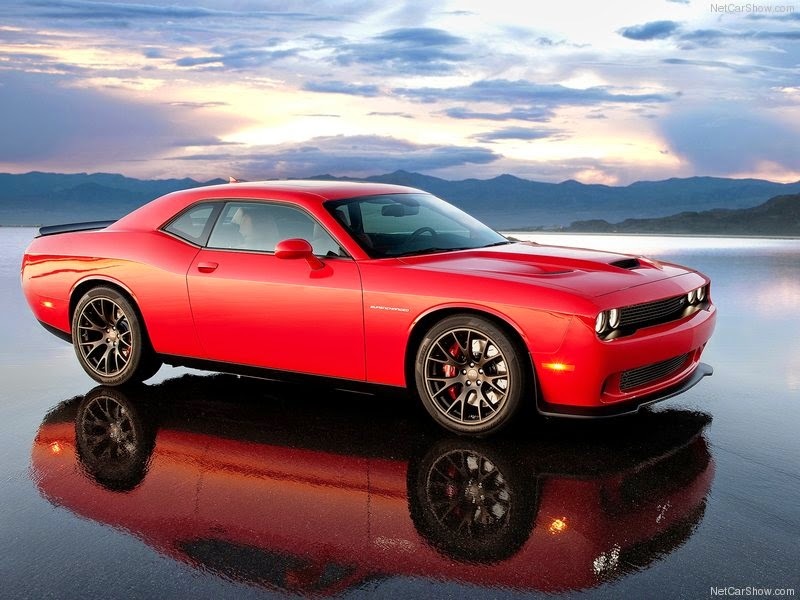 "Like the redesigned Challenger, Hellcat following the model of the 1971 has front grille and rear LED lights performed in two parts "
Behind the mighty name Dodge Challenger SRT Hellcat is hidden powerful car driven by 6.2 liter Hemi V8 engine with supercharger and over 600 hp! Official performance information is not yet available, but is expected to accelerate to 100 km / h in less than four seconds. 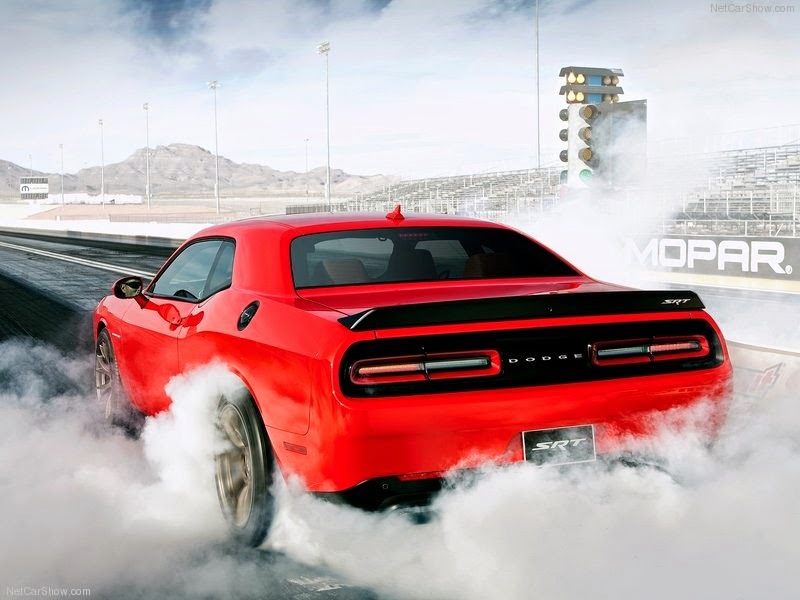 Hellcat looks brutal, and it's hard to imagine that in such a car there is electronics, but the driver will be offered four options driving - Default, Sport, Track and Custom. 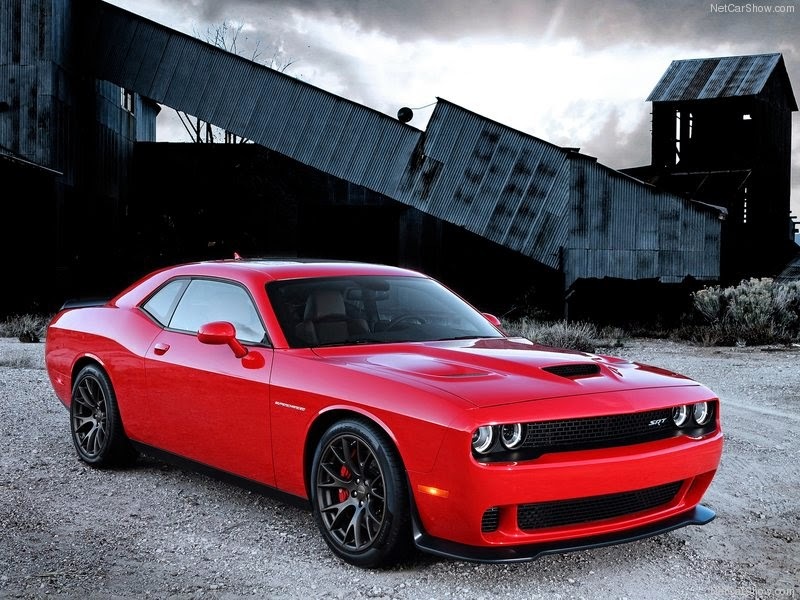 Like the redesigned Challenger, Hellcat following the model of the 1971 has front grille and rear LED lights performed in two parts. With a large intake air to an aluminum hood, a stronger model has two additional holes for air outlet and another entrance inside the light assembly on the driver's side. In addition, there is different larger front splitter, rear spoiler and Supercharged marks on hips.